Two Hobbs women were killed Thursday morning in a six-vehicle accident east of Carlsbad. 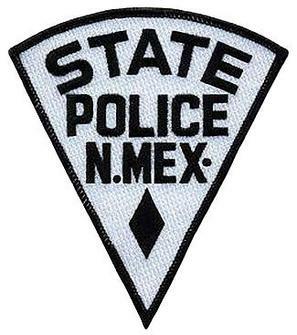 New Mexico State Police were dispatched around 10:30 a.m. Thursday to U.S. 62/180 near mile marker 52 in reference to a wreck involving a tractor trailer and five passenger vehicles. Initial investigation revealed the highway was closed in both directions as workers ran power lines across the roadway when a westbound tractor trailer failed to notice the traffic stopped ahead of it. The truck rear-ended the stopped vehicles, wrecking a 2017 Toyota Tundra, 2018 Cadillac Escalade, 2017 Toyota car, 2017 Chevrolet van, and 2011 Chevrolet van. The occupants of the Escalade, identified as Maria Marin, 60, and Josefina Valles, 44, both of Hobbs, suffered fatal injuries and were pronounced dead at the scene. The drivers of the tractor trailer and Tundra, and the driver and passenger of the Toyota car were all transported to local hospitals with various injuries. The drivers of the two vans were uninjured. Driver inattention is believed to have been the contributing factor in the accident, and the NMSP Crash Reconstruction Unit is assisting with the investigation. Charges against the driver of the tractor trailer, a 28-year-old Sallisaw, Okla., man, are pending the outcome of the investigation, and the driver will not be identified until the investigation is complete.